Dawson Dodd keeps cool and comfortable indoor air temperatures for your home or business, no matter what crazy Midwest weather we get! 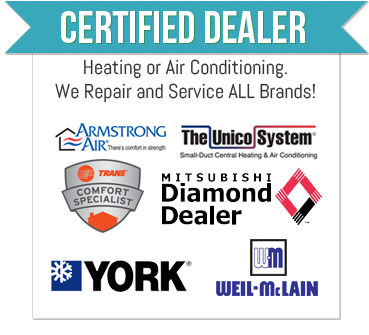 Dawson Dodd proudly installs and services air conditioning systems from all top manufacturers. Whether you’re renovating, building a new house or just want to properly maintain your AC system to keep it running at its best, Dawson Dodd has you covered! Even if your home is without duct work, you can still experience the comfort of an air conditioned home. With our ductless and mini-duct air conditioning systems, Dawson Dodd is able to design and install the most efficient system for your home. A/C systems come in all shapes and sizes these days! When it comes time to install a new cooling system in your home, count on our expert technicians to determine the right size and energy efficiency level for your space. 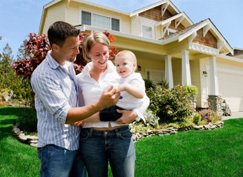 Just give us a call today and schedule an evaluation of your home! Dawson Dodd provides superior A/C repair and installation services to businesses, large and small, throughout the greater St. Louis area. Cooling problems in a business environment present unique challenges for a business owner. A broken down air conditioning unit can result in loss of business or even pose as a health risk. Whether you need fast and reliable A/C repair or assistance with choosing and installing the latest HVAC technology in your new office building, Dawson Dodd has you covered! Call us immediately for any of your business cooling needs.